Skype update 11.15.597.0 for Windows 10 PC is now available for download. 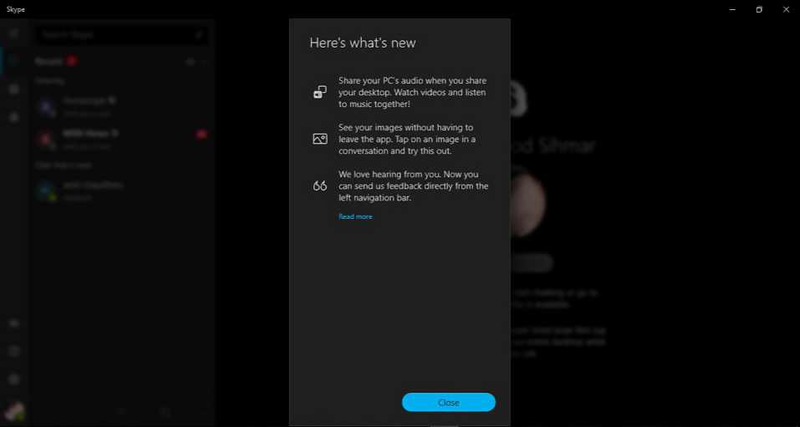 The latest update now allows you to share PC audio while sharing the desktop with other. Also, you can now view images without leaving the app. There are other bug fixes and improvements also. Check out below for more details. Added feature, now you can share PC audio while sharing your Desktop. View images without leaving the app. Added new feedback icon to the left navigation bar. Download the app from the Windows Store or from the link below.